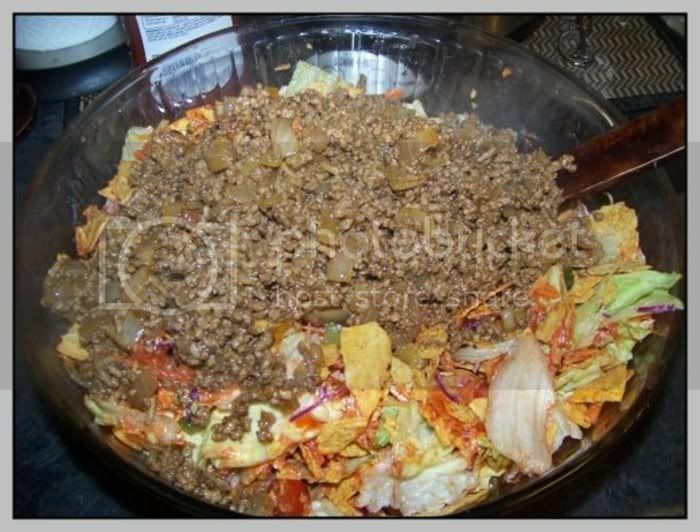 One of our favorite, favorite foods to eat at a party has always been Taco Salad. 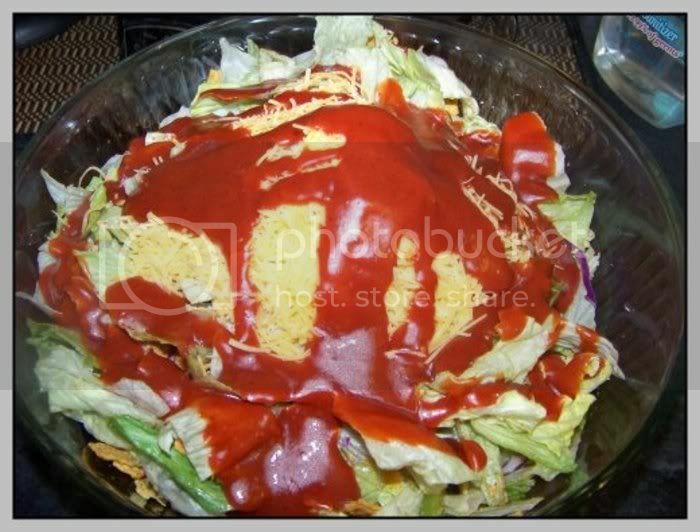 Well, it got me thinking the other day when I was craving a little Taco Salad… surely I can find a way to make it healthy, can’t I??? 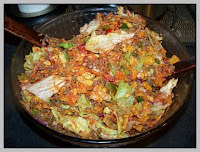 And, so I went to the market, shopped around and was thrilled to find that I can, in fact, make it healthy! 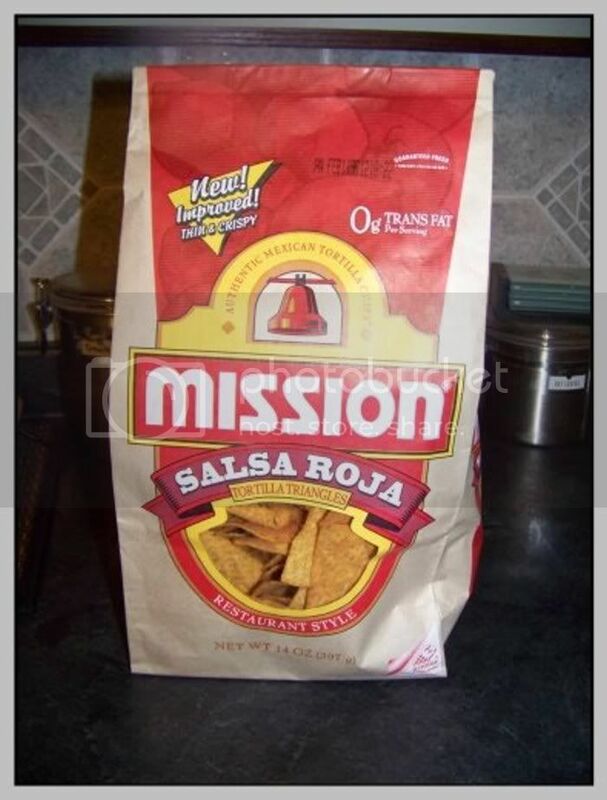 Now, this might sound crazy, but you will need to take that lovely bag of chips, open it up, sample one or two chips and then crush the rest of them into bite-sized pieces. 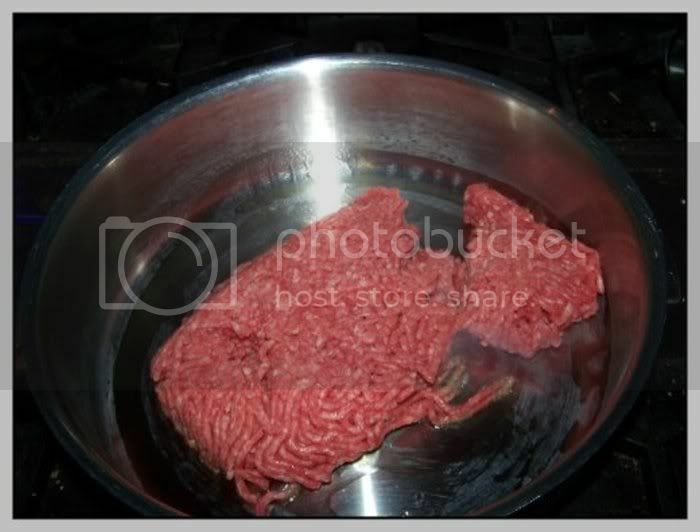 Next, take a pound of ground beef or turkey and cook it through. 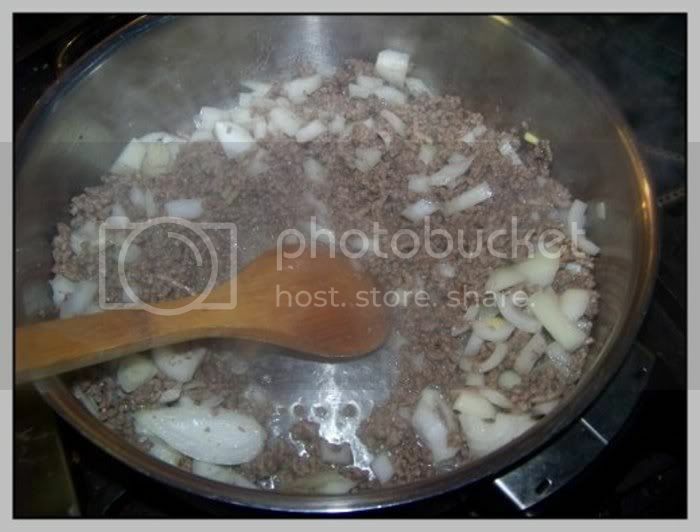 Add a 1/2 medium-sized onion and cook until translucent. 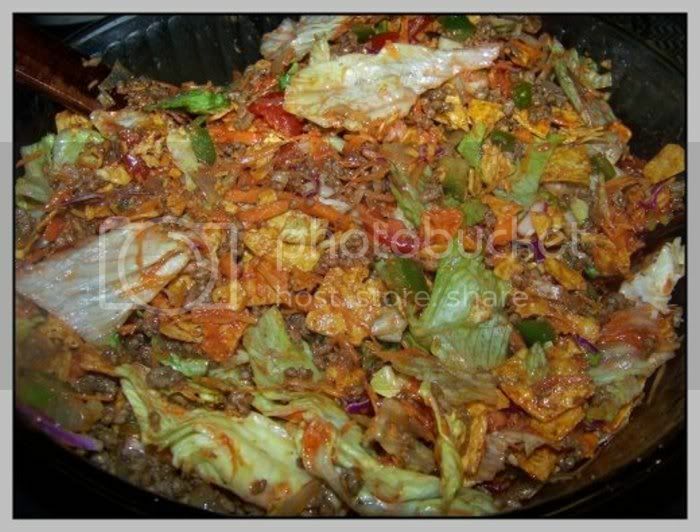 Add taco seasonings according to package for 1 pound of meat. 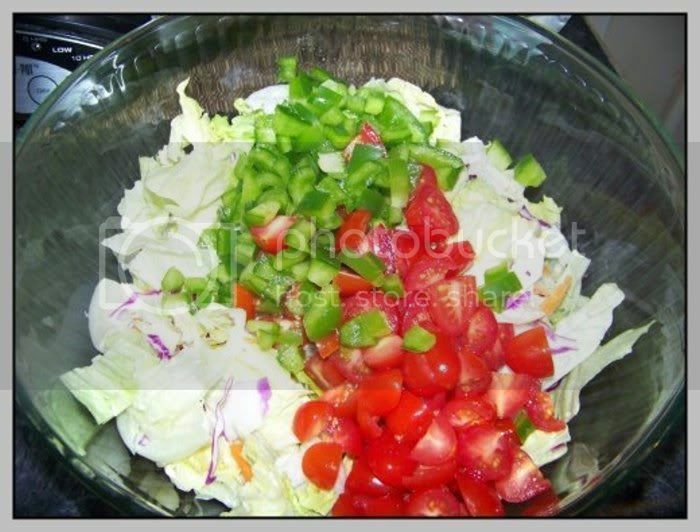 In a large bowl, add lettuce, green peppers and tomatoes. 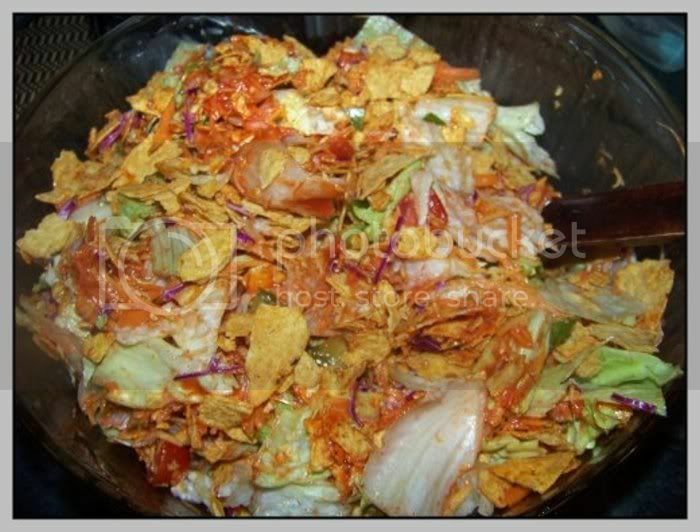 Pour bag of chips on top of salad and toss together. 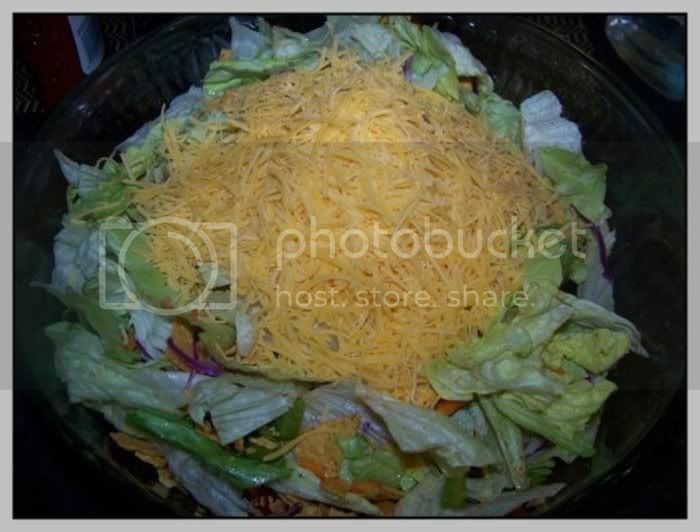 Add 6oz of shredded cheddar cheese and mix well. So, I figured we could deal with a little food dye for one day…. 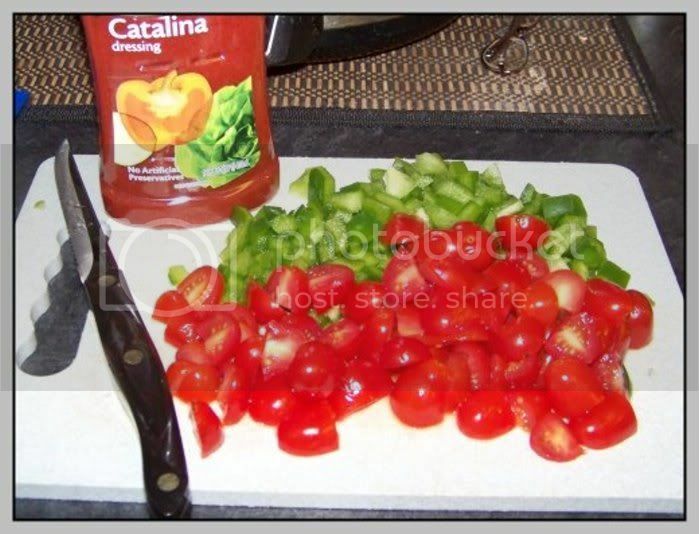 If you want to avoid that as well, you can try any type of tangy french dressing, or make your own…. 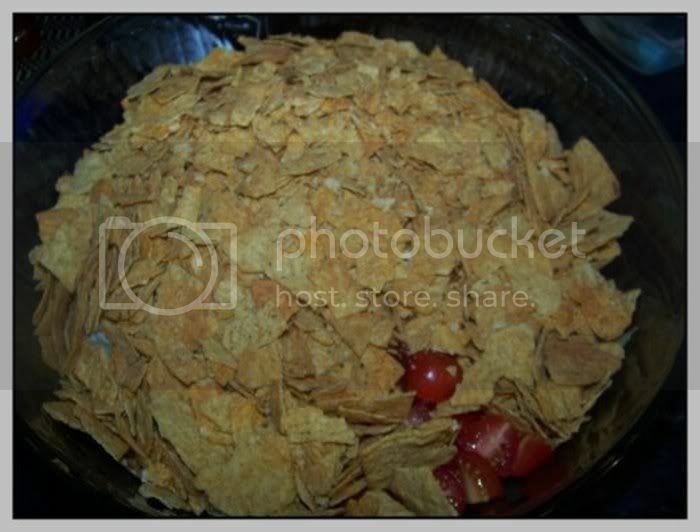 Mix all ingredients together until it resembles this. This makes a large quantity. 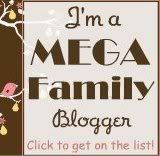 Next post: It’s so funny….